Tennessee Industrial Electronics ("TIE"), a portfolio company of Charlotte-based private equity firm Summit Park, is pleased to announce that it has acquired The Parker Group of Companies ("PGI"). Headquartered just outside of Detroit in Clinton Township, Michigan, PGI provides electronic drive and printed circuit board ("PCB") repairs, manufactured electronic motor brake products, and sub-contracted manufacturing and retrofit services of PCBs, wiring harnesses, and cable assemblies. "PGI's extensive product knowledge and in-house technical repair capabilities are highly complementary to TIE's FANUC expertise," said Tony Wisniewski, CEO of TIE. Wisniewski continued, "PGI will add extensive electronic repair expertise across new key OEMs including Siemens, Allen-Bradley, Okuma, and Baldor, making the company a one-stop-shop for all CNC electronics parts and repairs." TIE, based in La Vergne, Tennessee, is a leading provider of parts and repairs for computer numerical control ("CNC") systems. TIE specializes in refurbished FANUC aftermarket parts such as controls, motors, and drives and holds an extensive inventory of over 75,000 parts. The company sells to a variety of machine tool end users and resellers across the United States and internationally. "We are very pleased to acquire The Parker Group of Companies. Our investment thesis has always been to expand our OEM expertise and our outside sales team. This acquisition accomplishes both, and we look forward to building on each company's historical success," said Bob Calton, Managing Partner at Summit Park. For more information, please contact Rachel Hannon, (704) 654-3400 x240, at Summit Park. PGI was founded in 1986 and consists of three core business units: The Parker Group, Inc., which provides electronic repair services primarily focusing on board repair; Saldet Sales, Inc., which manufactures and supplies a line of electronic motor brake products; and Intelligent Systems & Solutions, Inc., which provides outsourced manufacturing and retrofit services for machine-tool wiring harnesses, cable assemblies, and PCBs. 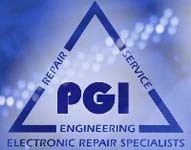 PGI sells its repair services to OEMs, integrated suppliers, resellers, and end-user customers, and its in-house OEM capabilities include Siemens, Allen-Bradley, Baldor, Indramat, and FANUC. For more information, visit www.parkergroupinc.com. TIE is a leading provider of parts and repairs for CNC systems. TIE specializes in refurbished FANUC aftermarket parts such as controls, motors, and drives and holds an extensive inventory of over 75,000 parts. The company sells to a variety of machine tool end users and resellers across the United States and internationally. For more information, visit www.fanucworld.com. Summit Park is a Charlotte, North Carolina-based private investment firm focused exclusively on the lower middle market. The firm invests across a wide range of industries, including business services, outsourced services, light manufacturing and distribution. Summit Park targets businesses with revenue between $20 and $100 million and located in the Mid-South, Mid-Atlantic and Southeastern regions of the United States. The firm's capital can be used to facilitate a change in ownership, to support expansion and growth, to provide partial liquidity to existing owners, or to support an industry consolidation plan. For more information, visit www.summitparkllc.com.